The government seems to be in the midst of a paradigm shift in its internal security assessment and posture. 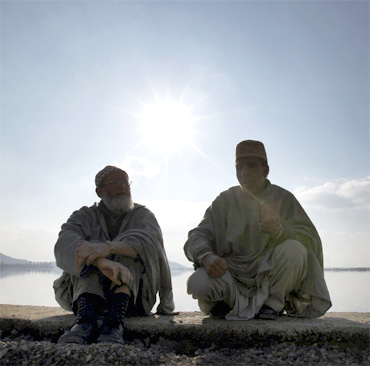 This is quite visible from the tone and tenor of the considerable number of statements emanating from the corridors of power in New Delhi, especially with regard to Jammu and Kashmir. The most significant amongst these is the recent assertion by Prime Minister Manmohan Singh, in the course of his interaction with television editors in New Delhi on February 16. While dwelling on the issue of internal security, the prime minister indicated that there is an improvement in the internal security situation of the country. 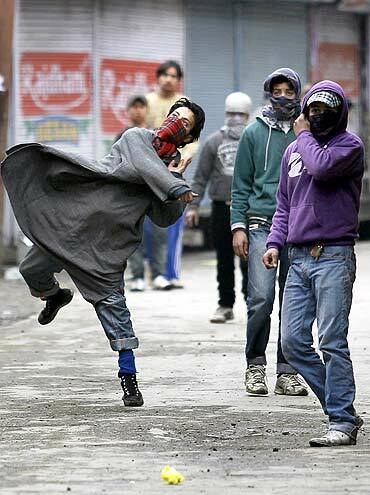 With respect to Jammu and Kashmir, he asserted that there are signs of the situation coming under control. The people of the state could look forward to orderly development processes, especially in the matter of enhanced employment opportunities, he said. The prime minister's assertion is supported by a number of indicators on the ground. The home ministry has declared its intention to de-induct nearly 10,000 para-military personnel from Jammu and Kashmir. 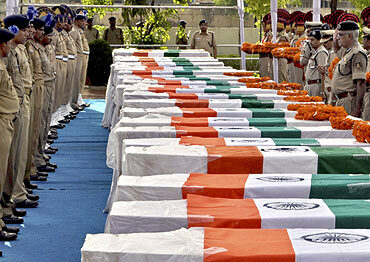 "There are more than adequate forces in Kashmir and it can do with less central forces," Home Secretary G K Pillai said. "Irrespective of the situation, I can take out ten battalions and it would not have any impact," he added. 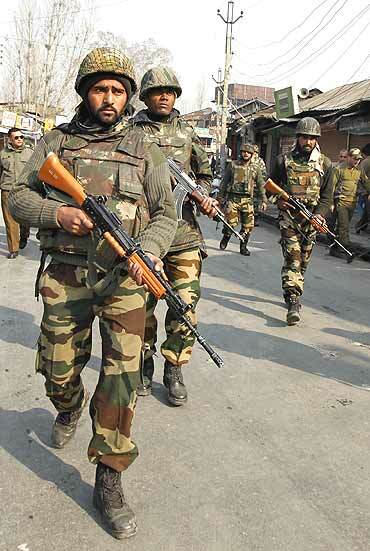 The Army, however, feels that there is not much scope for a change in its deployment in Jammu and Kashmir. The Army chief has, in a recent interview to an English news channel, made it amply clear that there is no proposal for a cut in the strength of the Army. This view has been endorsed by Defence Minister A K Antony. The assessment of the prime minister and the decision of the home ministry would give residents of the Valley ample reason to cheer. But the lingering doubt -- that all of this is a bit premature -- remains. 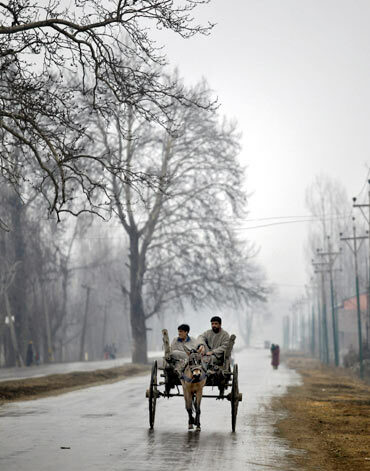 Jammu and Kashmir is traditionally stable at this time of the year. A better assessment can be made only if this stability holds in the sensitive months between April and September. It also has to be kept in mind that the separatists, as and when they decide to become disruptive, invariably assert that politics and development are two different issues. Once protests gain momentum, the government's efforts towards development do not help in controlling the adverse situation. There seems to be some movement in the right direction with respect to the government's response to the Naxal challenge. It can be logically concluded that the paramilitary units, proposed to be de-inducted from Jammu and Kashmir, will be deployed to augment operations in the Naxal belt. Home secretary Pillai has also given an indication of the government's thought process in this direction. "We have nearly 70 battalions in Kashmir and we have 62 battalions in seven Naxal affected states, which are big states," he had stated. The Army has been given the responsibility to set up a facility to train police and paramilitary troops being inducted for anti-Naxal operations. The Army has made it amply clear that the proposed facility will be for training purposes only. In a press conference on January 14, Army Chief General VK Singh stated that the Army was "neither operating in the area nor seeking protection under the Armed Forced Special Powers Act." This training facility will be set in Narayanpur district, along the edges of Abhujmard -- a Maoist-controlled forest plateau straddling Chhattisgarh and Maharashtra. 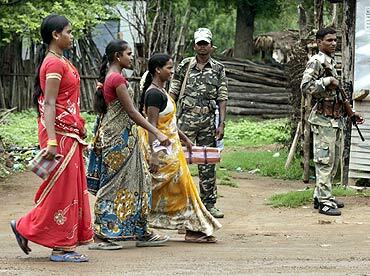 Maoists have already declared their vehement opposition to the move, describing it as the first step towards eventual deployment of Army in anti-Maoist operations. Further, the Army chief has made it clear that the issue of legal protection in case its personnel are forced to retaliate against an attack on their camp will have to be addressed by the government. "Legal protection and clarity is needed for soldiers in case they have to retaliate," he has categorically stated. The steps being taken by the government seem to be in the right direction. The presence of the Army in Jammu and Kashmir is more for its primary task of guarding the borders rather than the counter-terrorism role. 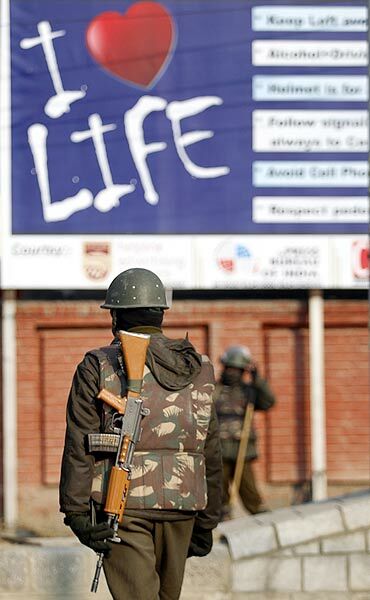 In the event of any decrease in terror activities, it is only proper to move out the paramilitary forces and hand over more responsibility to the Jammu and Kashmir police. The proposed de-induction of paramilitary troops should propel the state government towards increasing its efforts to put in place a modern, highly motivated and numerically adequate police force, which can face the challenges posed by divisive and anti-national forces. An inability to do so will lead to a status quo ante with great loss of face. The Army, of course, has to stay active, as long as attempts towards infiltration are on and there is confirmed intelligence about the existence of terrorist camps in Pakistan Occupied Kashmir.